Fly ash is a reduced fine substance driven out after the combustion of coal, generally in thermal electric power plants. Few decades back fly ash was generally released into the atmosphere but raising concerns for the environment and the strict regulations, fly ash is captured before releasing into the atmosphere. Fly ash is now commercially used for making various products used in construction industry. 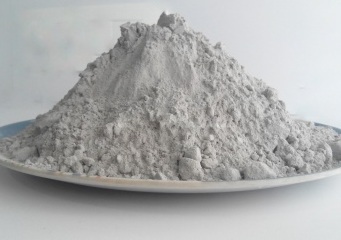 Fly ash consist of silicon and calcium oxide which after mixing with water and lime converts into a compound Portland cement, providing more strength and durability vastly used in construction industry. Globally 41% electricity is produced from the thermal electric plants producing considerable amount of fly ash, about which only 43% is used for the production of hydraulic cement and Portland cement rest is placed in the landfills. Despite, the retirement of coal plants fly ash production expected to increase by 2.6 % by year 2033, and production of 131 million tons of fly ash per year in USA only. Rapid urbanization and construction in Asia-pacific and Latin-America drives the growth of fly ash products like Portland cement and other compounds used in construction and agricultural sector. Awareness regarding the fly ash as a substitute for the common Portland cement, which provides better strength and properties to eliminate water and chemical penetration. Presence and generation of fly ash in abundance provide it at much lower cost and significantly driving growth of global fly ash market. Rapid urbanization pushed the construction activities at very large scale in developing countries and raising the demand for cement and hence boosting fly ash industry growth. Globally more than 55% population is living in urban areas which is expected to surpass 60% by 2024. Construction share in global GDP accounted 12.2% in 2015 and estimate to reach 13.5% by 2025. However, the poor quality of fly ash which increases the rate of permeability in cement seems to be the major restraint for the fly ash market. In some regions thermal power plants are also retiring owing to the increasing concerns for the environment. Global fly ash market accounted for USD 4.2 billion in 2015 and the market is expected to reach USD 6.4 billion by the end of 2024. Further, the market is anticipated to expand at a compound annual growth rate of 5.4% over the forecast period i.e. 2016-2024. Geographically, Asia-Pacific and USA are the major markets for fly ash owing to huge construction activities in these regions. Asia Pacific region dominates the global fly ash market owing to rapid urbanization and growing construction sector in the region. Asia Pacific accounted for more than 30% revenue share in global fly ash market. Asia Pacific is closely followed by North America with more than 25% share in total fly ash market owing to rising demand for new house in North America. Latin America and Middle East also witnessing double digit growth rate in construction sector which is expected to drive the growth of fly ash market in these regions.